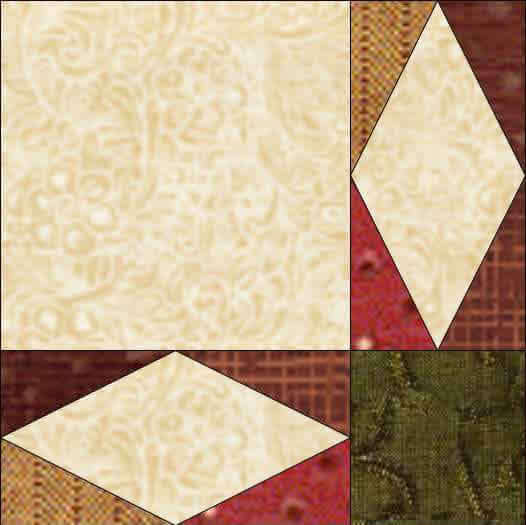 De-Constructed Quilt Block Design for HUGE blocks. NO TRIANGLE construction makes this design appropriate for beginners and challenging enough for pro's ...It's surprisingly easy to get this block right when it is made In The Hoop! Autumn Stars quilt quick and fun to make. perfect stars without cutting or stitching a single triangle. Darting Minnows is a De-Constructed design and assembled in Columns for larger blocks and easy construction. The hoop size that you select will be the size of the large Square at the center of the block design.